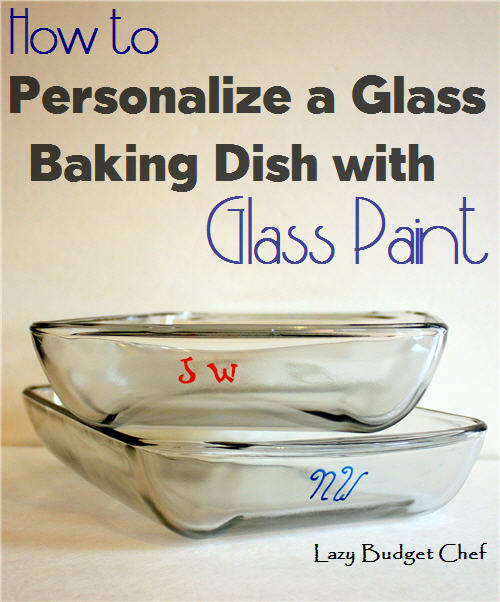 For this project I am using glass paint pens to personalize glass baking dishes instead of glass etching cream. Well for one, I don’t have to worry about wearing safety glove or having the etching cream accidentally burn my skin. For another, I’m not the most confident stenciler. Glass paint is more forgiving. If you make a mistake you can remove the glass paint with rubbing alcohol and a cotton ball. You can’t do that with etching cream. Once etching cream is on your glass surface, you are stuck with what you have like it or not. 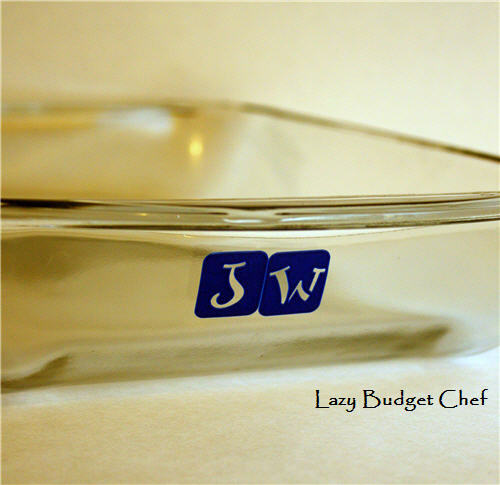 For this project I am personalizing two baking dishes I plan to give as Christmas gifts. I am using their initials since we all share the same last name which makes personalizing pointless for family pot lucks. Disclosure: There are affiliate links in this post. If you choose to make a purchase through my affiliate links, I earn a small commission at no additional cost to you that helps us keep this blog running. Thank you for your support! 1. Clean the glass area you wish to stencil with a cotton ball full of rubbing alcohol. This will remove any oils from your hands that may be on the glass from handling it and allow your paint to adhere better. 2. If you are using glass stencils, put them on the glass dish. I recommend painting the outside of the dish because like with all craft glass paint, the DecoArt paint markers should not come into contact with food. 3. 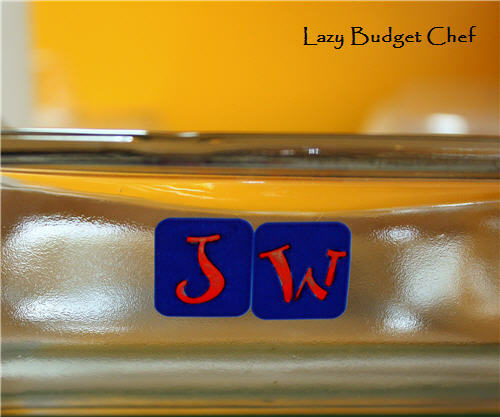 Use the paint marker to either write the person’s name or monogram or fill in the stencil with glass paint. 4. If you are using glass stencils, remove the stencil while the glass paint is still wet or the stencil may take the dry glass paint with it if you wait to remove it. Guess how I know? 5. if needed, remove any stray glass paint from your project using rubbing alcohol on a cotton swab. 6. Allow the glass paint to dry. 7. Bake the glass dish in a non-preheated oven at 375 degrees ( F) for 40 minutes and allow the dish to cool in the oven with the door open. This will make the paint permanent. 8. 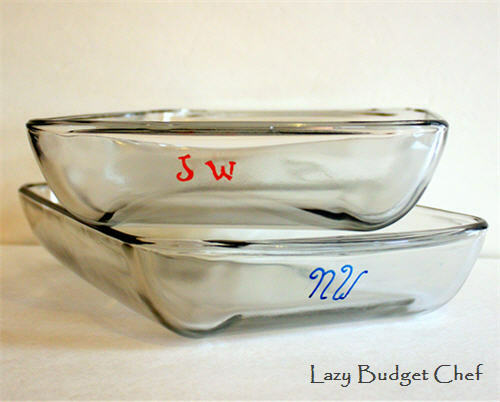 Wrap up your DIY monogrammed glass baking dish and give it as a gift for someone else or to keep for yourself! What recipe would you fill it with?